An elderly woman has found a new place to live after her Nashville apartment complex was sold to a developer. 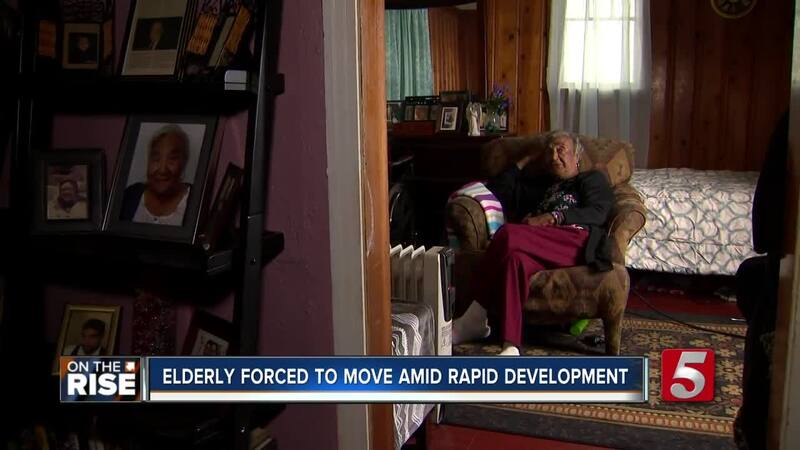 NASHVILLE, Tenn. (WTVF) — An elderly woman has found a new place to live after her Nashville apartment complex was sold to a home builder. Half a million dollar homes tower over Miss Aline Lyles' former longtime apartment. Lyles said, "We as poor people are the ones that are going to suffer." A builder bought her complex for $315,000 according to property records, and she was given a notice to get out. "Some of these people been living in these houses for years, and to uproot them like that, it's unexpected...it's terrible," Lyles said. We did story segments with Miss Lyles last year as she searched for a new home . She couldn't find a place to live that she could afford in the Buena Vista neighborhood. "They should get some kind of law to help this housing thing!" Lyles told NewsChannel 5. After some time, however, something positive came out of the situation. A good Samaritan saw our story and cut Miss Lyles a deal on rent. Even better, the home was just a couple miles away on Phillips Street. "I'm a happy camper right now," Lyles said. While her struggle to find affordable housing came to an end, she said the gentrification continues in Buena Vista. As the 86-year-old gets used to a new neighborhood, she's watched as others like her are still being forced out of the only neighborhood they've ever known. "We need some help," Lyles said. Friends now pick up Lyles for church since she can no longer walk there. Her son has moved in with her to help her adjust to a new neighborhood. "The only thing I wish is that people who are looking for a home will find one as nice as I did, I really do."